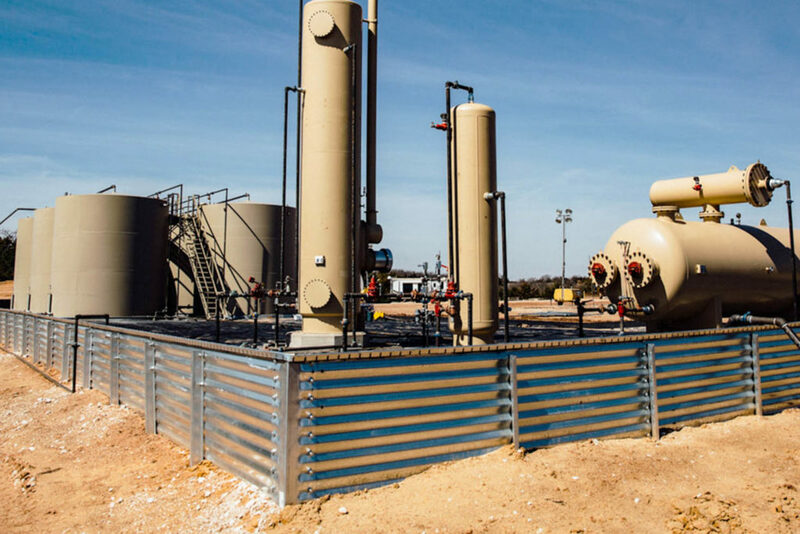 Mustang Extreme Environmental Services offers a variety of secondary containment solutions to meet the specific requirements of any job. You can rest assured with extreme confidence knowing your containment needs are secure. Mustang Extreme Environmental Services serves our customers through forward-looking environmental containment services. Our crews have installed over one billion square feet of geosynthetic material and constructed steel wall secondary containment in regions across the US. 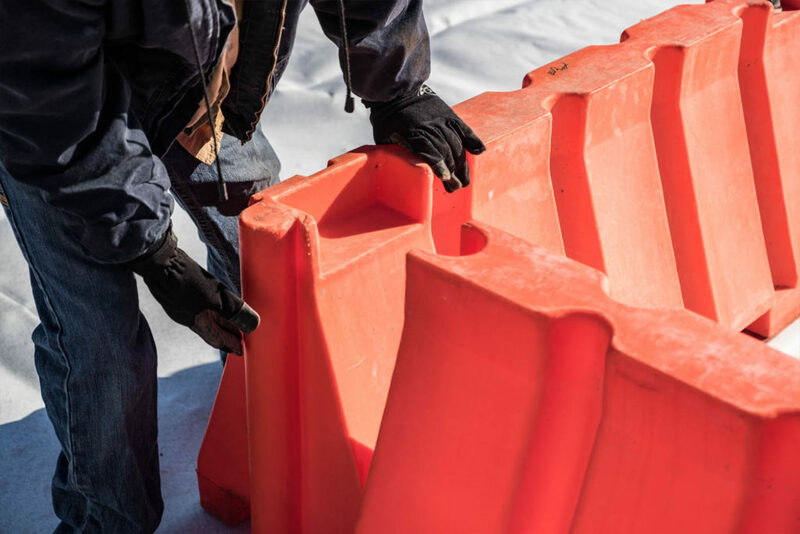 Our experienced engineering team works directly with our customers to evaluate and design each job providing our customers with custom configurations for their secondary containment needs. Our operational teams ensure the highest environmental and safety standards, industry-leading expertise, and exceptional quality control. Mustang Extreme’s extensive experience and quality service result in a job that is done on time, within scope and on budget. 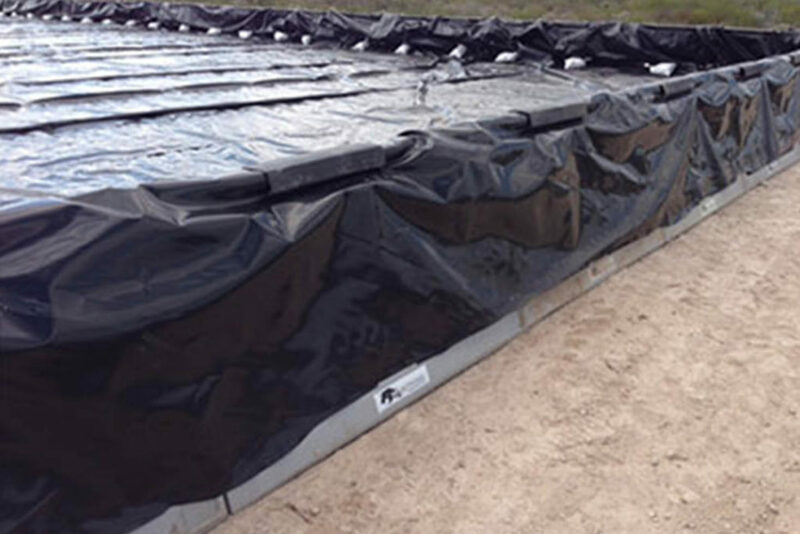 All of the secondary steel wall containment systems at Mustang Extreme Environmental Services serve as precautionary containment measures in the event of fluid spillage and are placed in or above ground. Our systems are quality controlled and quality assured to meet the Occupational Safety and Health Administration (OSHA) standards. These structures come in a variety of shapes and dimensions, which provide options for a wide array of project needs. 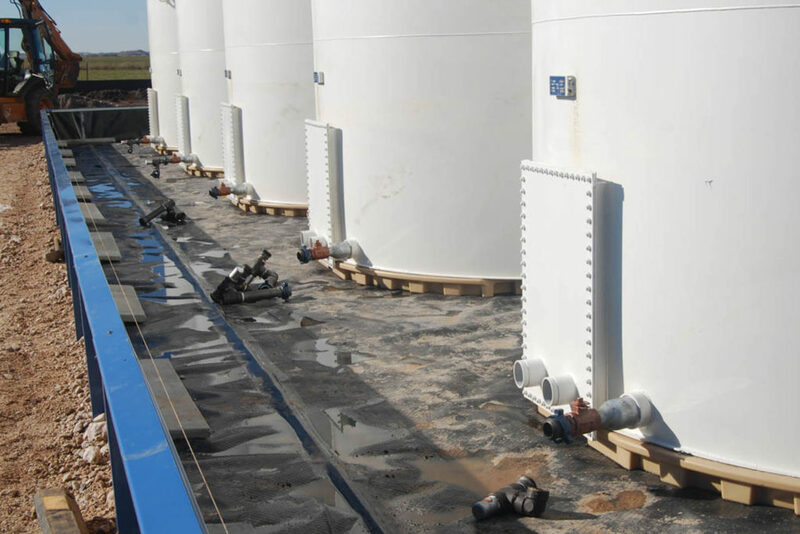 Each system is calculated and designed to match the required containment capacity. 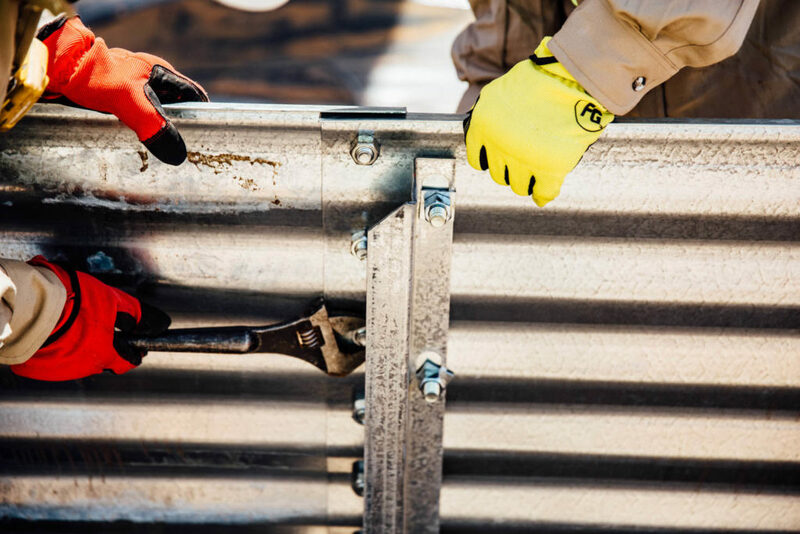 Mustang Extreme Environmental Services ensures we will obtain and safely install the proper fit of a secondary steel wall containment system for your project. 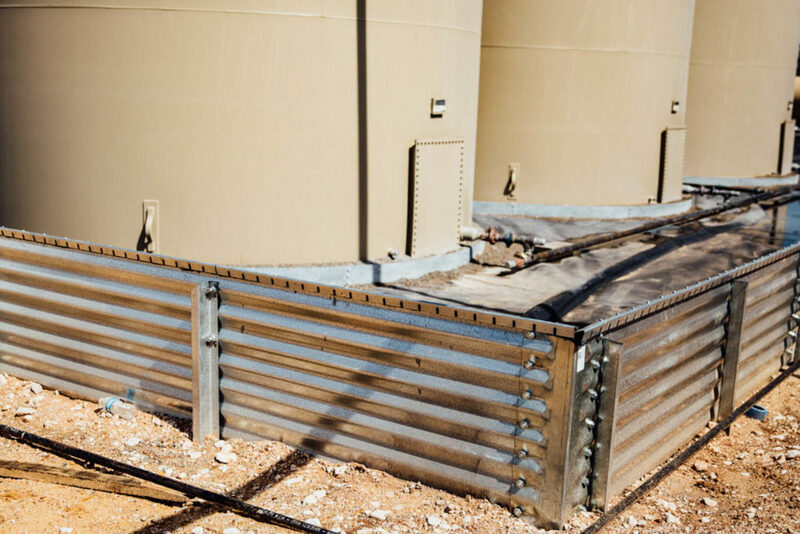 Our Shieldwall Containment Barriers offer fast, flexible, and durable containment. Each Shieldwall is designed to exceed standard strength requirements and undergoes a four phase rotational molding process. 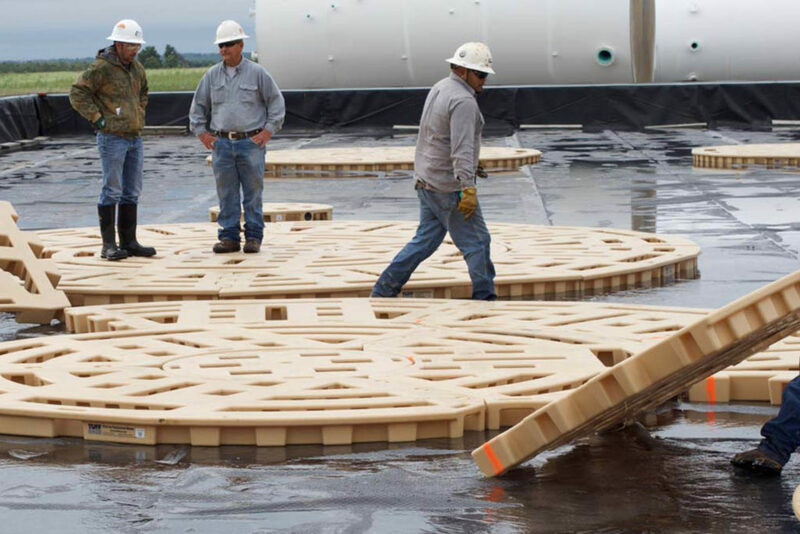 This process ensures that each and every unit is built to withstand the most rigorous of conditions. Built with flexibility in mind, Shieldwalls are light and compact for transport and can be quickly weighted with either water or sand. The interlocking design of the barriers allow for varying configurations and fast setup. 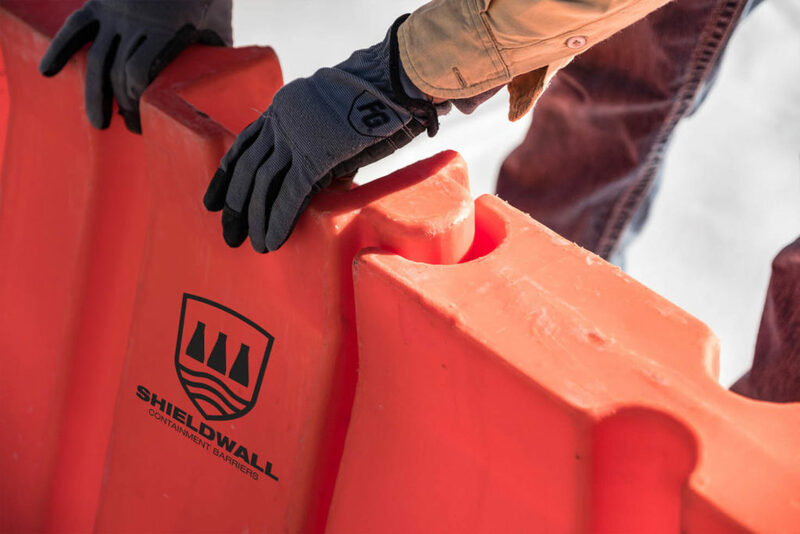 Ultimately, Shieldwall Containment Barriers provide unmatched quality and dependability. When paired with our skilled installers, they offer excellent secondary containment assurance. 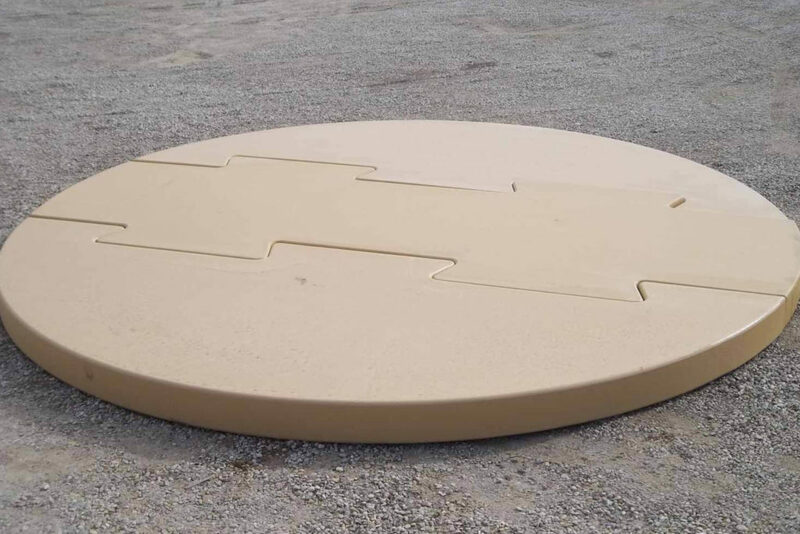 TUFFBASE™ is the most durable and easiest product for elevating your tank with built in placement guides, ergonomic grab handles and forklift-able. It is professionally engineered to extend the life of every tank and installs in under 1 minute. Multiple sizes available. All TuffBases are backed by a 10-year creep study done by an outside engineering firm with a ~20% factor of safety. All have passed under the simulated tests. These studies cost tens of thousands of dollars. All TuffBases are 3” wider than the standard API tank, leaving ~1.5 inches on either side. In the past, preparing a site for above ground storage tank placement included pea gravel installation. While this method appeared more cost effective, over time the gravel was inevitably exposed to leaks and spills. 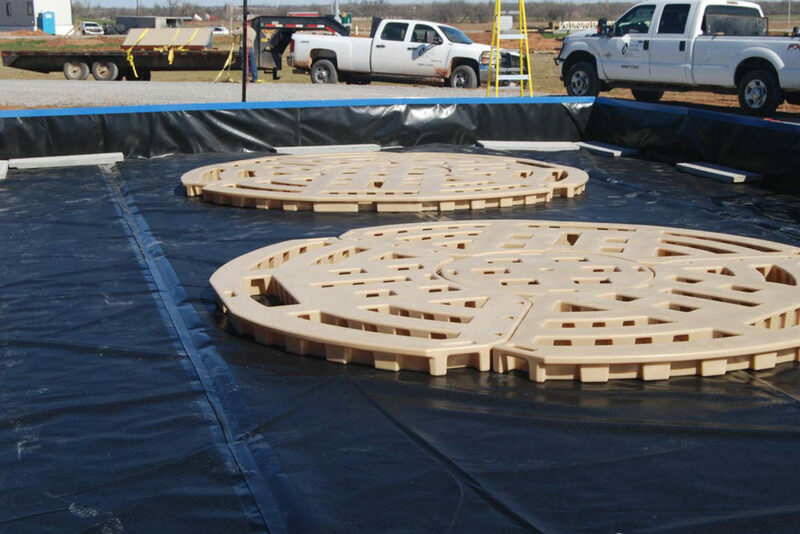 Do away with costly remediation by using polymer coated foam tank pads’ environmentally friendly Interlocking tank pads. Installed on minimally prepared ground, they not only ease site preparation and reduce setup costs, but their surface is easily cleaned. Polymer Coated Foam Tank Pads are the smart choice to minimize concerns for yourself and our environmentally aware society. Drive over berms are extremely durable and can be completely customized to the customer’s desired size and specifications. 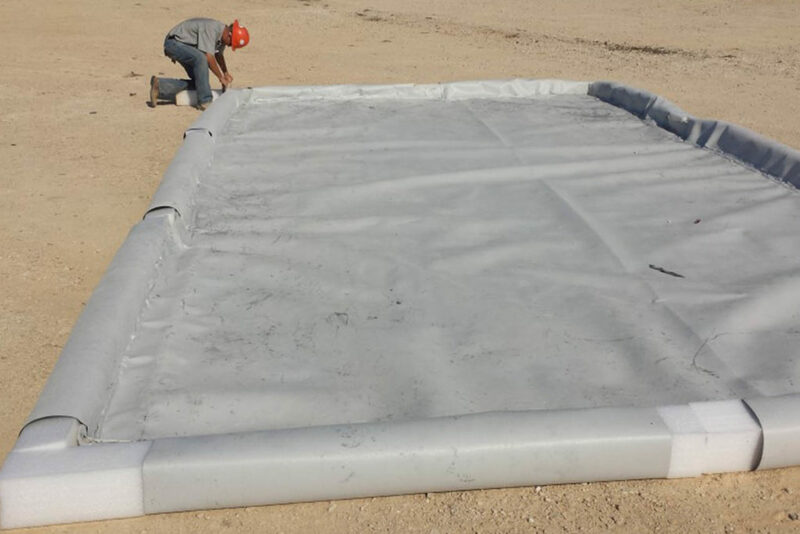 Primarily used for on-location preventative containment; the berms usually come in a lighter textured material and are used under acid tanks, trucks and equipment. These drive over walls are available in both a foam and hard plastic material dependent on your needs for the product. 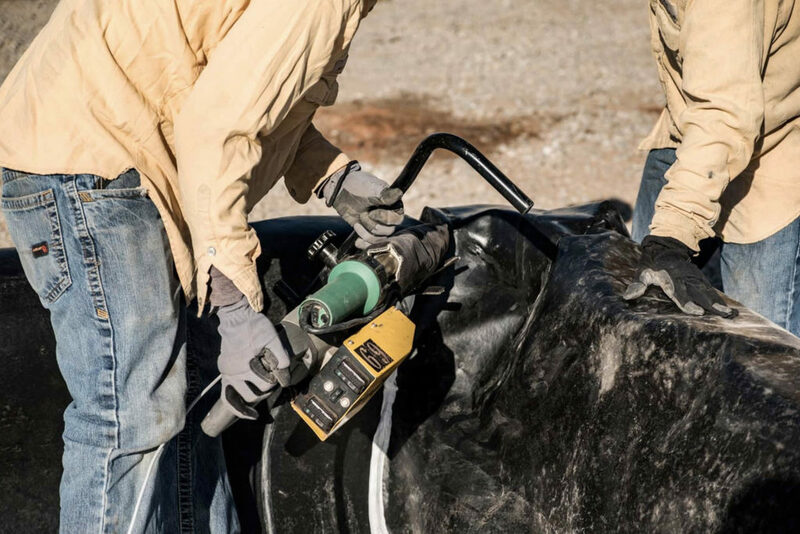 Pre-fab liners are 100% customized to meet your needs. Depending on the size, we can usually pre-fab the liner in our shop. We offer delivery and installation if desired, or you can pick it up directly from us. While they are great for oil and gas applications, they can also be a great answer for agricultural needs as well.